A Psychic Phone reading works in the same way as a face to face reading. 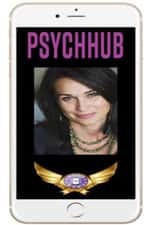 The Phone Psychic reader channels into the energy of the person they are speaking with and works of their natural energies and spirit. In addition, they can work with nonverbal expressions and tone of the caller’s voice. Which more often than not can provide a far more accurate reading as the Psychic reader is more focused on the client and is not distracted by their personal gestures or expressions. Q? How can I find the right Psychic reader that suits my needs? You can check out all of our truly gifted Psychic Readers at our live page where you can find a full list of their skill set and natural gifts. It is important that you choose a reader that best suits your needs. Q? What is your Customer Care or helpline number? Q? I have been cut off from my Psychic Reading/ call or my call hasn’t connected? Occasionally when callers calling from the mobile network can occasionally lose network coverage. If you happen to get cut off from your phone reading and you can’t re-connect? Then please get in touch with your mobile service provider or call our team so we can investigate the issue at hand. 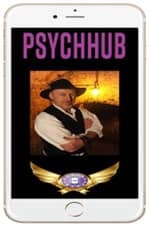 Psych Hub UK Reader Paul is a Spiritualist Psychic Medium who regularly works in Spiritualist establishments. He combines his spiritual gift, Tarot Reading and communication with loved ones in the spirit world to offer an incredibly accurate and compassionate Psychic Reading. 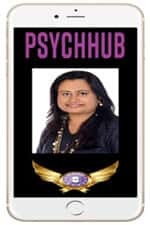 Text "PSYCHHUB" and Your "Question"
Atma is a truly emphatic and compassionate Psychic clairvoyant reader who uses her natural intuition and gift to establish a strong connection with you. She specialises in work and relationship issues and is available for live readings most days and evenings. Lakshmi is a Psych Hub United Kingdom live Psychic Tarot Reader who has been reading for clients worldwide for several years. Her specialty is love readings but is able to look at other areas such as career and relationship guidance and readings. Lindsay is a very gifted and naturally intuitive psychic reader for Psych Hub UK. With a warm and friendly personality Lindsay always gives truly accurate and compassionate Psychic readings. 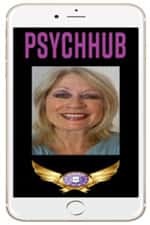 Psych Hub UK Psychic Reader Adele uses her experience and knowledge of Rune stones in her live psychic readings. She has a very calm and spiritual demines in her readings and is always very positive and reassuring. 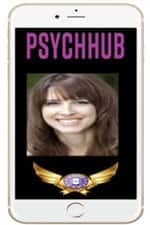 Psych Hub UK Psychic reader Summer is an empathetic and experienced psychic and medium who loves the work she does for clients world wide. She provides compassionate and empathetic readings with messages from spirit Angels. 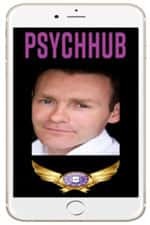 David is a truly gifted and extremely popular phone reader at Psych Hub UK. He is a Clairvoyant Psychic Medium specialising in love, relationships, Compatibility, Work and career advice with Spiritual Life Path Readings. David is available for live and SMS readings. 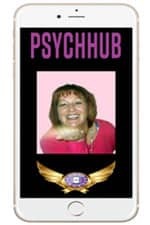 Psych Hub UK Reader Alison is a 4th generation psychic medium reader. She is a natural and gifted reader and has a intuitive relation with the spirit world as well as a vast knowledge of Astrology. Alison is available for live and SMS readings. 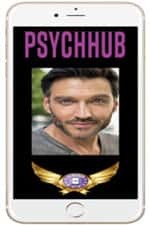 Psych Hub Reader Royce is a naturally talented and experienced Psychic, Tarot Reader, Spiritual Healer, and Medium. He specializes in work and relationship issues and will work with you closely to develop strong links to assist you to create a positive outcome. Psych Hub Reader Fiona is a gifted and experienced psychic medium and tarot card reader. Fiona radiates positive energy and is a truly gifted and empathetic reader who is able to give you guidance in many areas of your life. 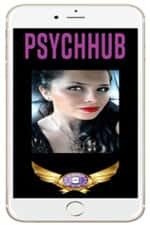 Psych Hub Reader Milly is a gifted an d experienced psychic reader with 15 years of experience. She gives live phone and SMS readings using Tarot or Oracle cards. Q? How does the Credit Card Billing Psychic service work? Enter your valid credit card details in as requested. Choose which pre-paid minute package you wish to purchase. Write down and record your private pin code so you can access and use again so you can access remaining credit when you wish to use the service again. The phone number that you called the service on. And we will arrange to either refund or to rest your personal pin number. Q? Do I have the option to extend the length of my credit card Psychic Phone reading? Yes, you have the option to extend your psychic phone reading. At the end of the call or when your credit runs out. Simply follow the voice prompts when your reading ends and top up your credit to continue the call.